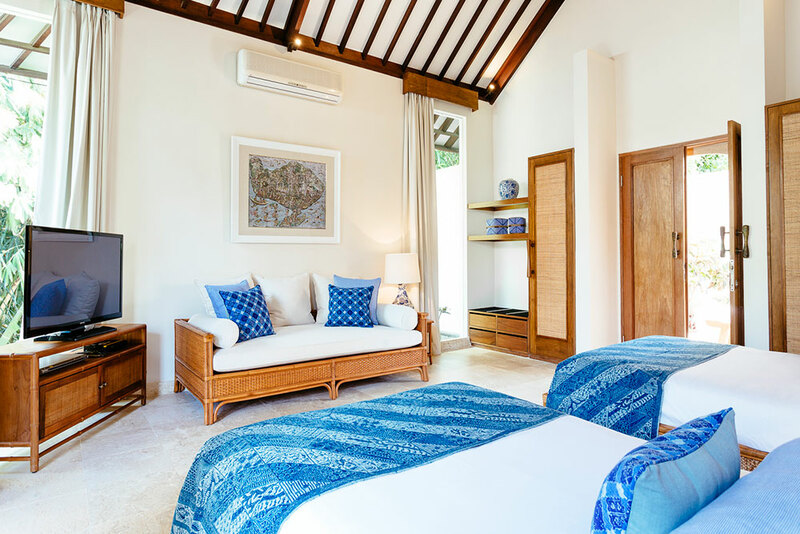 Leave your worries and shoes at the door and slip into island mode at Escape Haven’s luxurious private Bali sanctuaries for women, designed exclusively for women where indulgence and wellbeing walk hand-in-hand. We don’t believe you need to ‘rough’ it at our all inclusive fitness and wellness, surf and yoga retreats. 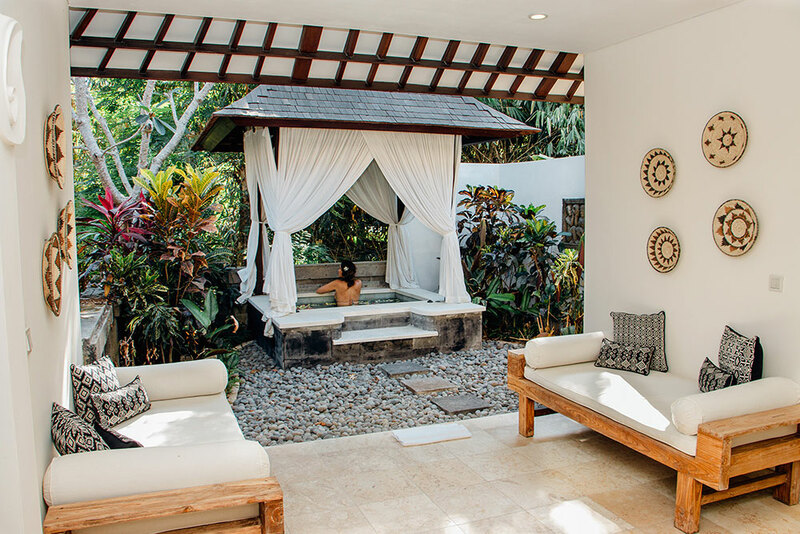 Our luxurious and blissful women’s sanctuary offers all the perks of Bali resort accommodation with more privacy and exclusivity. 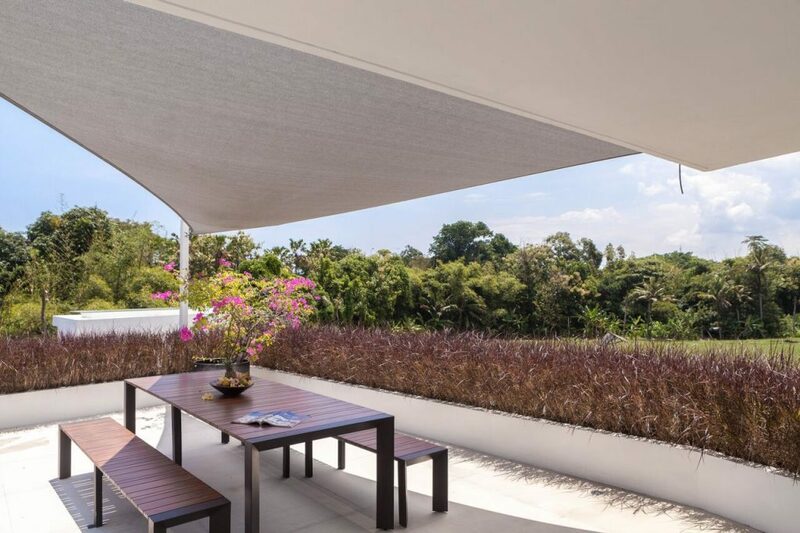 Imagine, being transported to a serene, peaceful haven surrounded by nature where you will awaken to bird song as the beautiful tropical sun rises. 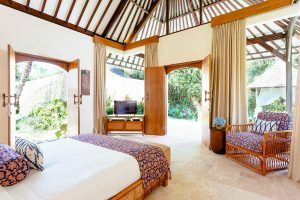 Come evening, you will gently fall asleep to the sounds and aroma of the Indian Ocean on the gentle breeze. 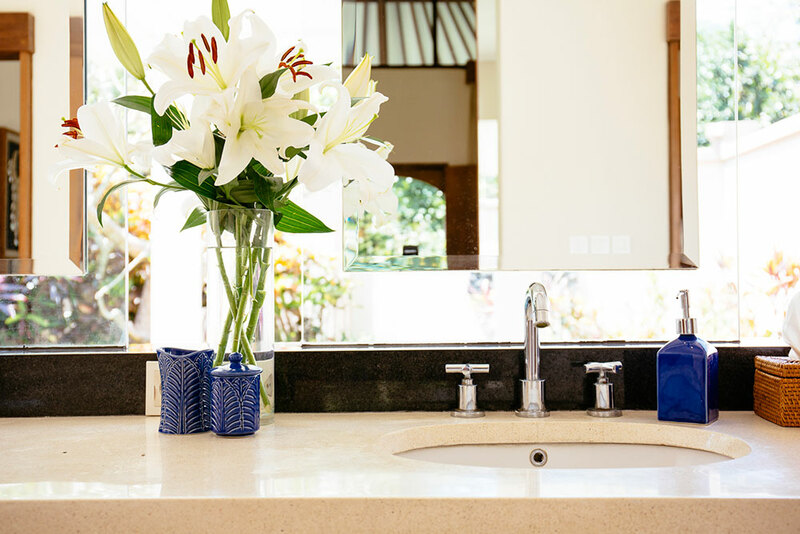 You’ll feel totally at ease in your ‘home away from home’, with every bedroom having all the modern comforts you need to enjoy your stay – from fresh cotton linens, Ipod dock stereo (private retreat villas), hair dryers and our own custom blended spa products. 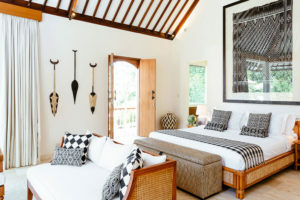 All villas at our luxury Bali retreat are fully air conditioned, while the open and airy living spaces spill seamlessly into the colourful foliage of the surrounding tropical gardens. Peaceful and serene, our Bali yoga retreat property lies within easy reach of many fantastic shops, day spas, restaurants, attractions and beaches. 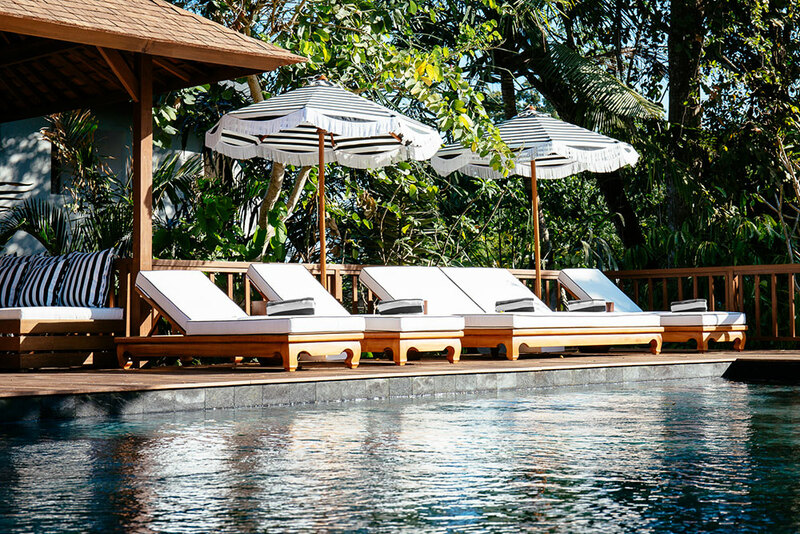 Our new retreat Escape Haven Canggu Sanctuary, sets the standard of luxury here in Bali wellness sanctuaries. 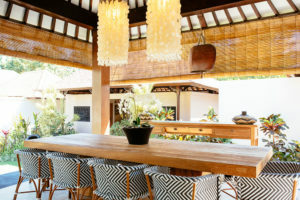 It’s located in the hip, surfer and yogi beach town of Echo Beach, Canggu and is run weekly. 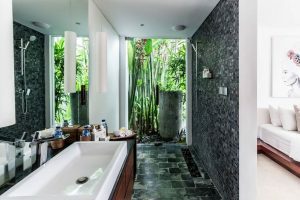 Bordered by tranquil rice fields, yet just down the road from the beach (900 metres), each contemporary styled villa boasts a deluxe en-suite bathroom with many offering views over the picturesque sacred river that runs through the lush gardens of the property. 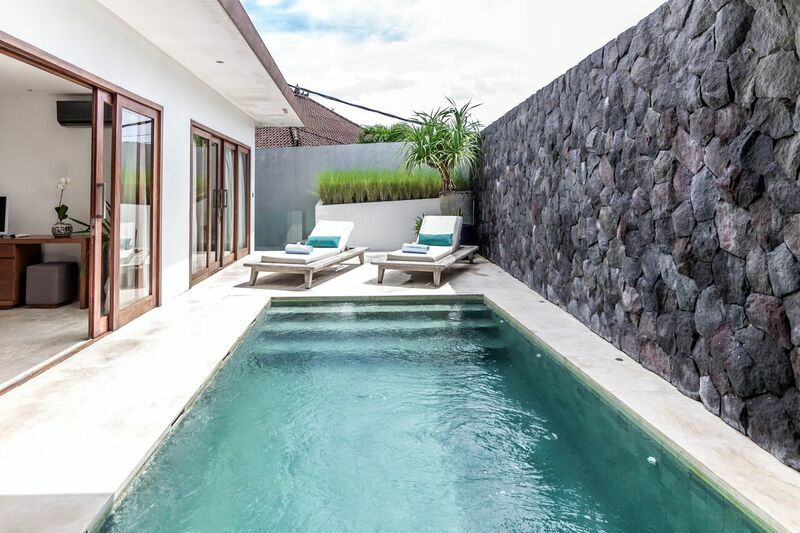 Our main Bali retreat offers five luxury one-bedroom villas as well as one luxury two bedroom pool villa and one luxury three bedroom pool villa. In between your pampering treatments and activities you can enjoy complimentary bike hire and cycle to the stunning Echo Beach just minutes down the road, for a surf, beach walk, swim or to just relax and taste some of the best seafood on the island at one of the lovely beach bars. Immerse yourself in this gorgeous beach side town and feel like a local in no time. We also have second retreat; our sister brand The Palm Tree House. The Palm Tree House is also located in Canggu and offers a unique range of boutique retreat stays with a focus on freedom and flexibility, at a more value price point. The Palm Tree House has small intimate group sizes, 4 night minimum stays, a co-ed villa, and less inclusions and structure to allow for greater free time and customization. 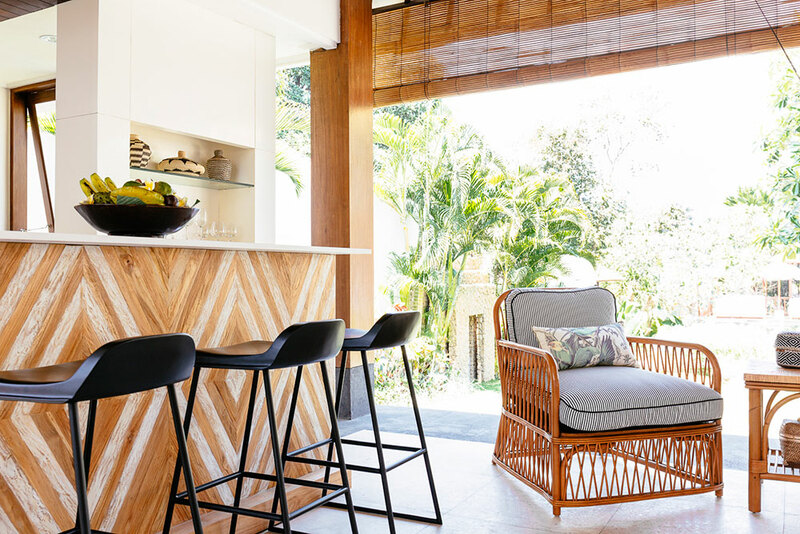 While Escape Haven prioritizes luxury, 5 star service and absolute inclusivity in the retreat weeks, The Palm Tree House offers relaxed boutique stays with a more ‘DIY’ approach. 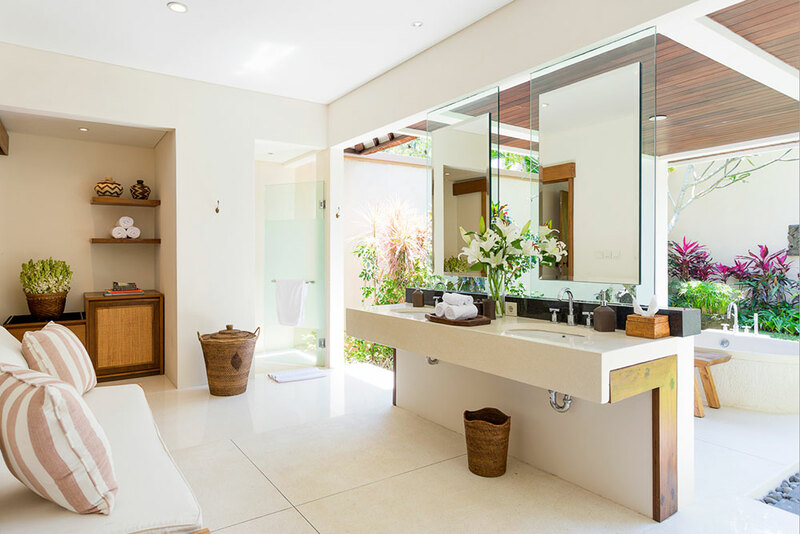 The en-suite bathrooms have beautiful, exotic rain showers and out-door freestanding bathtubs surrounded by tropical gardens. Vibe – The ultimate princess palace ! 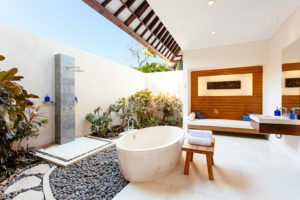 Absolute luxury, privacy, spaciousness and your very own jacuzzi! Our private jacuzzi suite is the ultimate in luxury. This is the absolute perfect place for an indulgent and divine Bali yoga retreat pampering holiday. 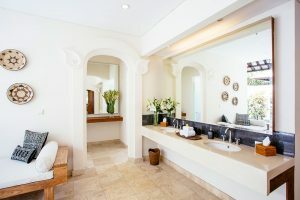 Your private jacuzzi suite is 4 times the size of all other rooms! It boasts a huge outdoor bathroom including your own jacuzzi perched above the flowing river that runs through the lush grounds. The bedroom has private balconies where you can immerse yourself in nature, a gorgeous spacious walk-through wardrobe, private dressing room and a lovely living/lounging area for you to relax in. 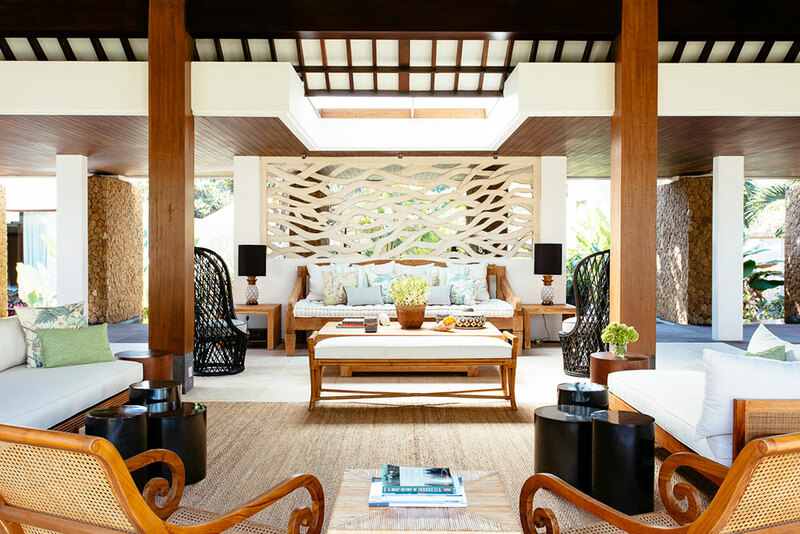 The doors open out onto the shimmering infinity pool and while you have absolute privacy, you are ideally positioned close to everything you need including the spa rooms, dining area and yoga shala. High ceilings, plenty of light and the outdoor egg shape bath set in lush tropical gardens! 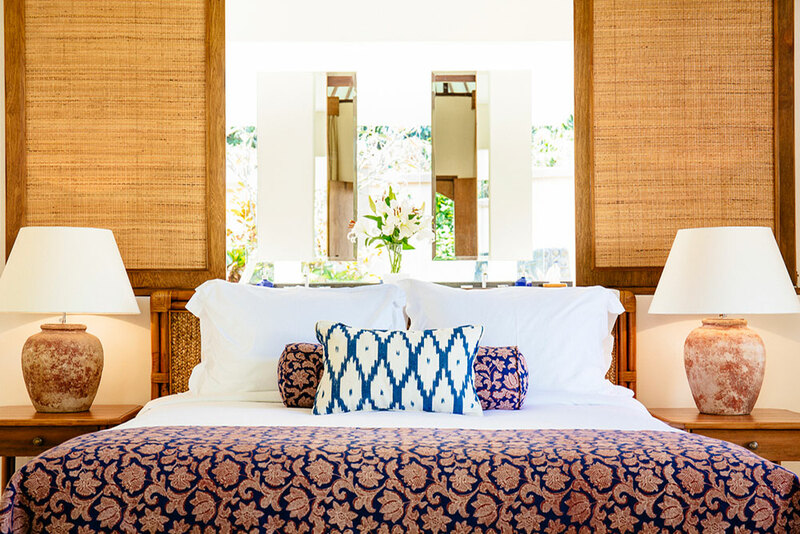 Immerse yourself in a rejuvenating Bali retreat experience with the tranquility of your own private room. The private suite comes with a spacious queen size bed and its own ensuite bathroom complete with rain shower and large egg bath set in tropical gardens. 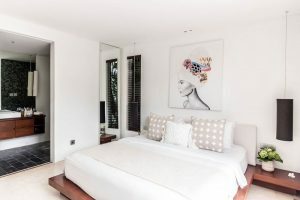 This bedroom is enclosed and fully air conditioned, or you can swing open your door to let in the sea breeze and garden views. 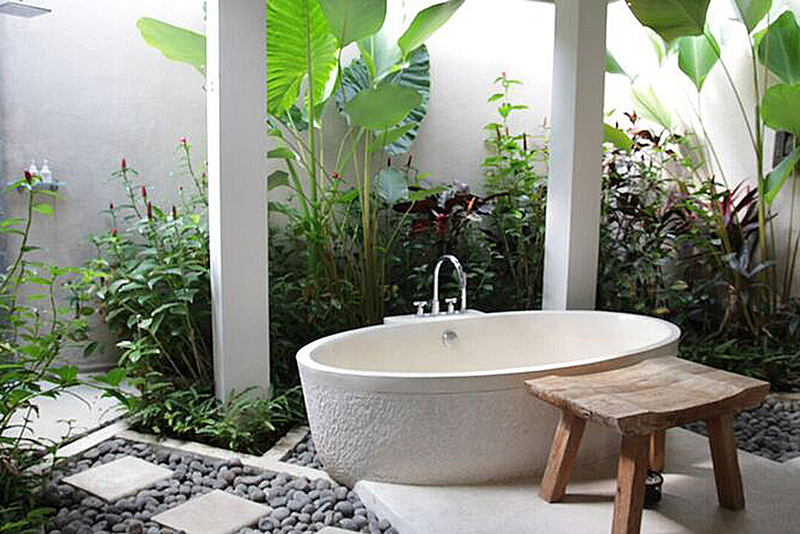 Take a blissful soak in your private bath in your own lush garden area for the perfect Bali experience. 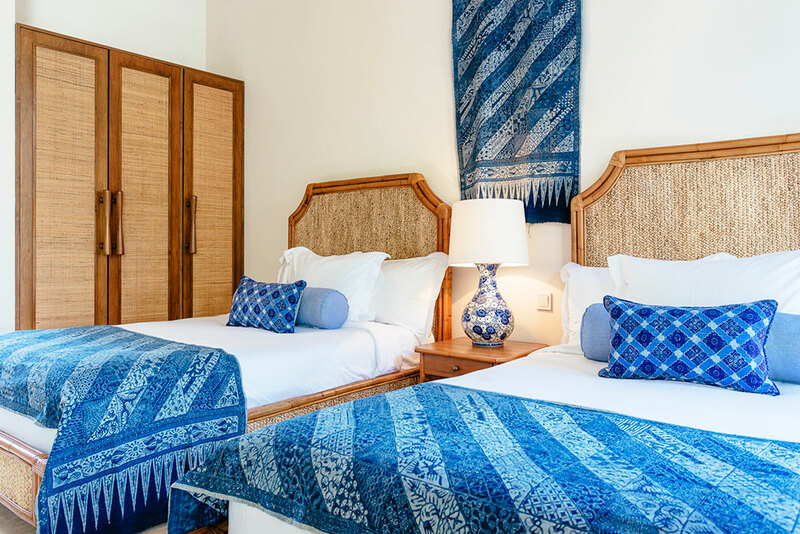 This room is beautifully appointed with luxurious stylish features designed to immerse you fully in your rejuvenating retreat experience. Stunning large outdoor tropical garden. Plus the joy of sharing with someone you adore! Our beautiful large twin share rooms have two twin beds and a stunning outdoor ensuite room with a large egg bath and rain shower. 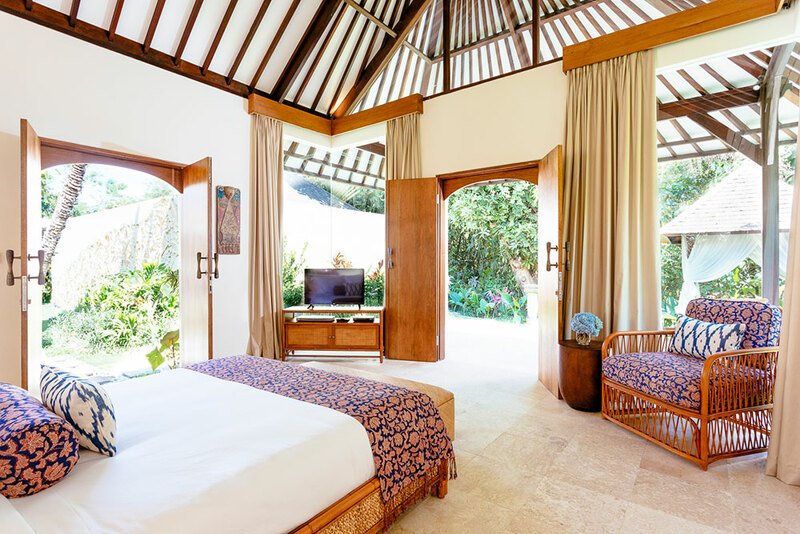 These bedrooms are fully enclosed and perfectly cool with air conditioning to ensure you a blissful nights sleep. There is plenty of space for two people to relax and unwind in pure comfort. 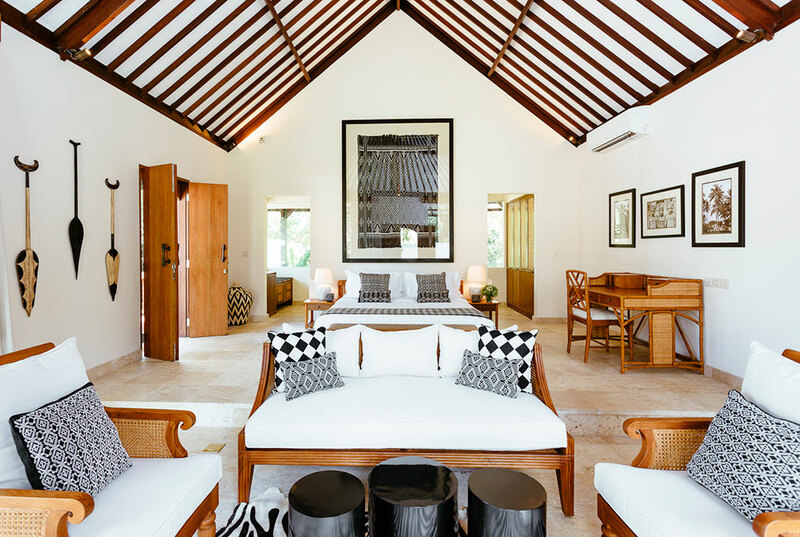 Enjoy sharing this room with your favourite friend or family member as you create memories and share experiences that you will treasure for a lifetime. 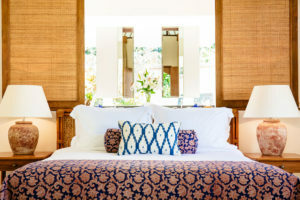 Gorgeous bedroom sanctuaries and plenty of extra space just for you and one other! 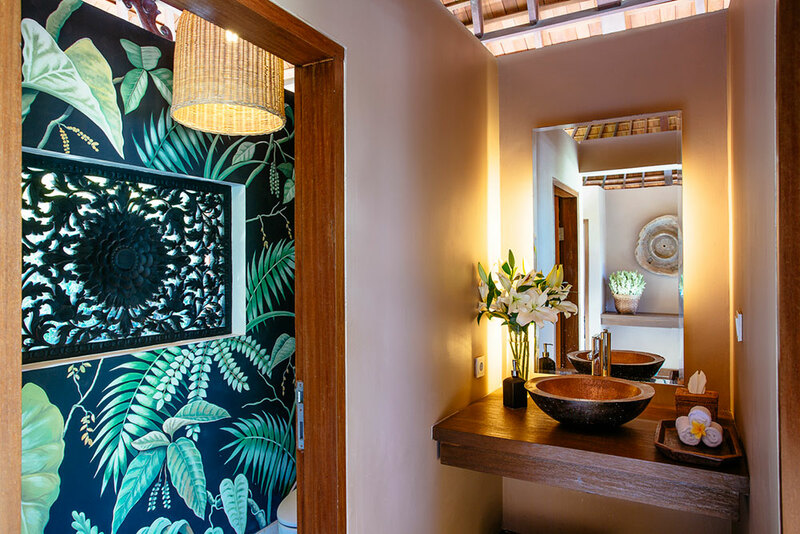 Our gorgeous two bedroom pool villa is bordered by rice paddy fields and lies just on the outside of the complex; a hop, skip and jump to the main dining shala. It’s ideal for friends, mothers and daughters sharing, or solo travellers that would like to share a villa with one other guest whilst still having a private room at a value price. As well as having your own private cozy room and ensuite, you also have the additional perks of a beautiful shared pool, gorgeous lounge, and a roof terrace where you can watch the sunset over the rice paddy fields. While the 2 bedroom villa rooms are not as high spec as the other villa rooms, the space is still luxurious, exceptionally comfortable and is a very popular option. 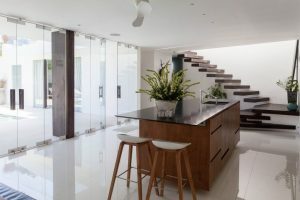 The location allows for plenty of privacy, offers a great saving, and of course you still have access to the entire retreat grounds- meaning you actually have more space (and two pools!) 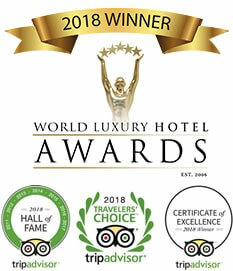 Solo guests will be matched with another lovely female guest and rooms are entirely private. The stunning pool, dramatic staircase, upper level balcony views and stylish comfort. 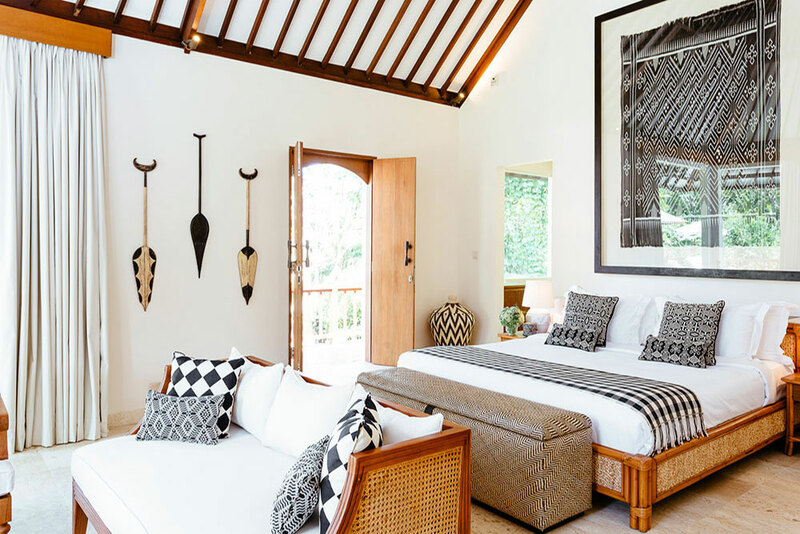 Our stylish luxury three bedroom pool villa is located on the far side of our retreat complex, just a stone’s throw from our main dining pavilion and surrounded by lush rice paddy fields. 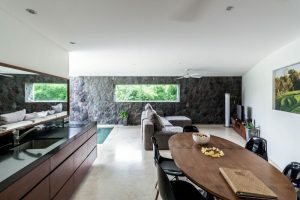 This 3 bedroom sanctuary is large, luxurious, tranquil and offers plenty of indoor and outdoor space to enjoy. 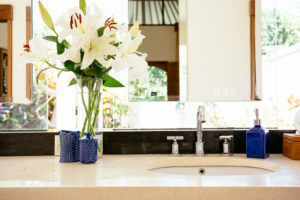 Each private room comes with a beautiful indoor bathroom and large air conditioned sleep sanctuary. 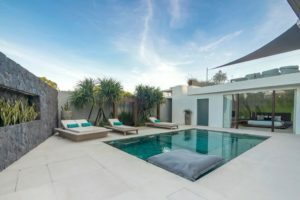 Two large bedrooms are upstairs (including the master suite), and one further bedroom is downstairs and opens directly out onto the sparkling pool. There is a very spacious open-plan lounge and dining area as well as the stunning pool and beautiful sunbathing area. 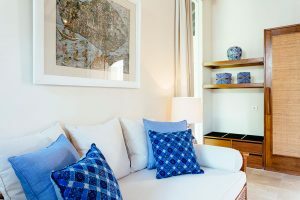 It’s very quiet and a wonderful space either for friends travelling together or for solo travellers who still enjoy having a private room, as well as sharing with two other lovely women. 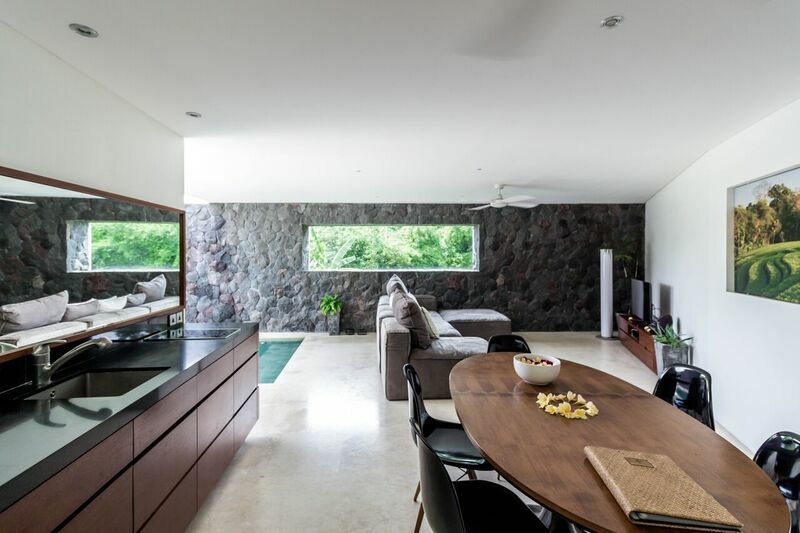 This villa represents great value due to its location being on the far side of the complex. 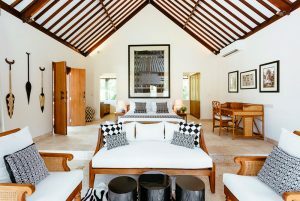 Like the 2 bedroom pool villa, you still have access to the entire retreat grounds, as well as all the extra space and perks of this stunning 3 bedroom villa.